iTS-Salon & Spa Expo is the epicenter for companies connected to the salon & spa industry. Our 24-hour, 7 days a week Expo facilitates a large, consistent flow of web traffic. This targeted web traffic can generate a wealth of opportunity for sponsers and advertisers. 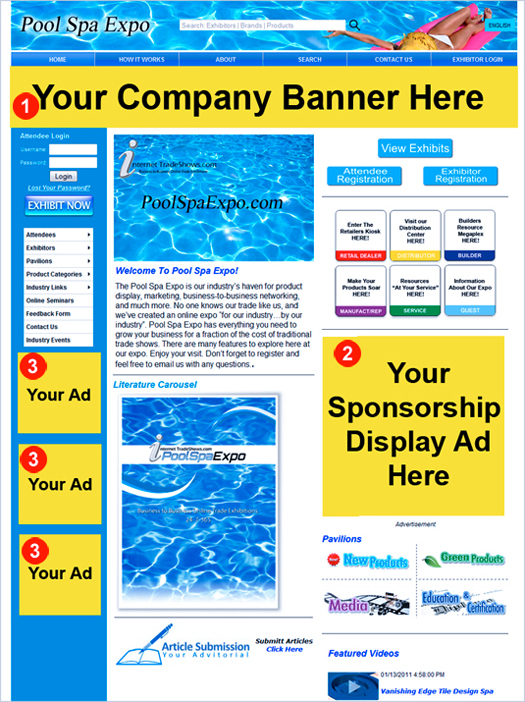 This means, your banner ads will be seen by a number of companies who are specific to your industry. Targeted ads are much more effective than a typical generic approach. Obtaining an ad on our site has an unlimited opportunity.